Health Secretary Jeremy “Rash” Hunt, who told parents to have a look on Google to check their children’s meningitis symptoms, has helpfully pointed out that the search engine will also provide links to a wide range of undertakers once his initial advice has been followed. 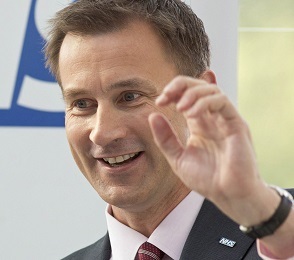 It was pointed out that the same parents would soon be likely to be looking at photographs of dead meningitis victims and saying: “My child’s corpse also looks like this one”, but Hunt was undeterred. The official NHS Choices website inconveniently states that with skin rashes in children “You should always see a GP for a proper diagnosis”, but this cuts little ice with the great Hunt. A spokesperson for the National Association of Funeral Directors said they were “very grateful, if a little freaked out” by Hunt’s statements.